Florida is known for attracting golfers. In fact, you’ll find more golf courses in Florida than any other state—more than 1,200. And for many, traditional golf is a major part of any vacation. But while it’s a great way to enjoy time outside, the sport does have its drawbacks: It can be expensive, time-consuming, and requires a good amount of time to develop the skills necessary to complete a round without wanting to throw your clubs in the lake. There is an alternative: Disc golf (also known as Frisbee Golf) features many of the same benefits as traditional golf but without many of those drawbacks. Rather than hitting a small white ball with clubs, players throw a flying disc or Frisbee, to use the trademarked term. Players start from a tee and toss the disc toward a hole, attempting to reach it in the fewest number of throws. Each throw, like each swing of the club in traditional golf, is considered a stroke, and golfers attempt to finish the course with the lowest score possible. 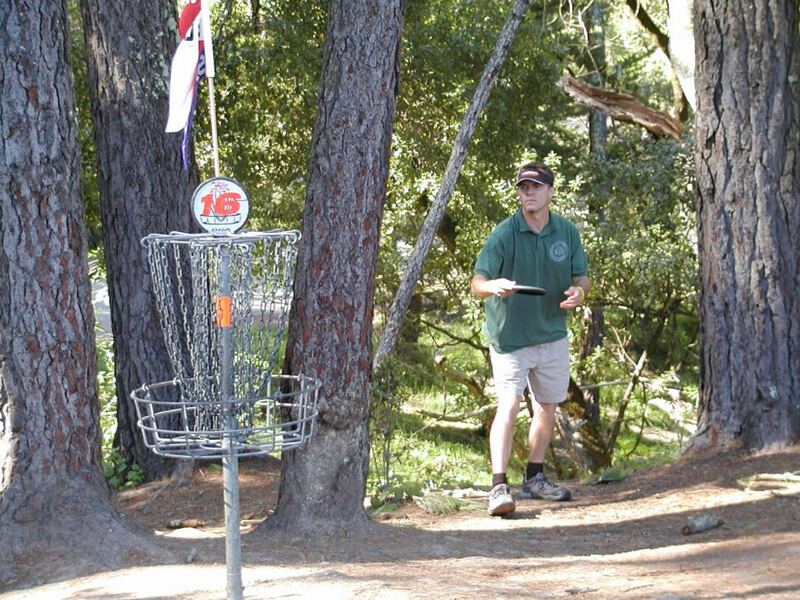 In the case of disc golf, the “hole” is usually a raised metal basket called a Pole Hole, and the disc must land in the basket to complete the hole. Just like on a traditional golf course, there are long holes and short holes, plus hazards like trees that must be navigated. You can play with a single disc, or get serious by carrying multiple discs to better suit each throw. Just like you have golf clubs for teeing off, mid range shots, and putting, you can buy different discs that work better in various situations. The sport’s rules were formalized in the 1970s, and it has grown steadily since then. The Professional Disc Golf Association now has more than 86,000 members. It organizes a professional tour and serves as the sport’s governing body. But while serious players can pull off some amazing shots (just go to YouTube to find them), one of the sport’s greatest benefits is its inclusiveness. People of all ages and abilities can play together. In may cases the course is free (or cheap) to play on, and you don’t need a tee time or expensive equipment. Just show up at the course, usually at a public park, and play as much as you like, alone or with a group. A round can usually be completed in an hour—as opposed to the five hours a round of traditional golf often takes. Around Orlando, the sport has developed a strong following with six different courses to choose from. Whether you’re a traditional golfer or not, disc golf is easy to pick-up, inexpensive, and family-friendly. Take advantage of any of these local courses to find out for yourself. 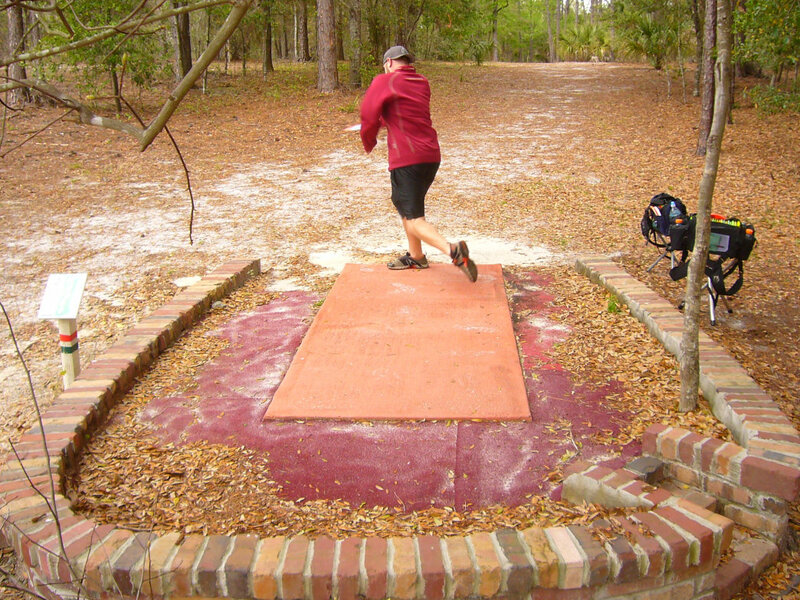 Located in southwest Orlando, Bill Frederick Park at Turkey Lake is one of the oldest disc golf courses in the state, having been established in 1986. The 18-hole course is very well maintained and offers some excellent views of the lake. This popular Orlando park, which also features nature trails, swimming, boating, and camping, does charge a $4 entrance fee per car ($2 for a single person), but the course is considered one of the better ones in the area. 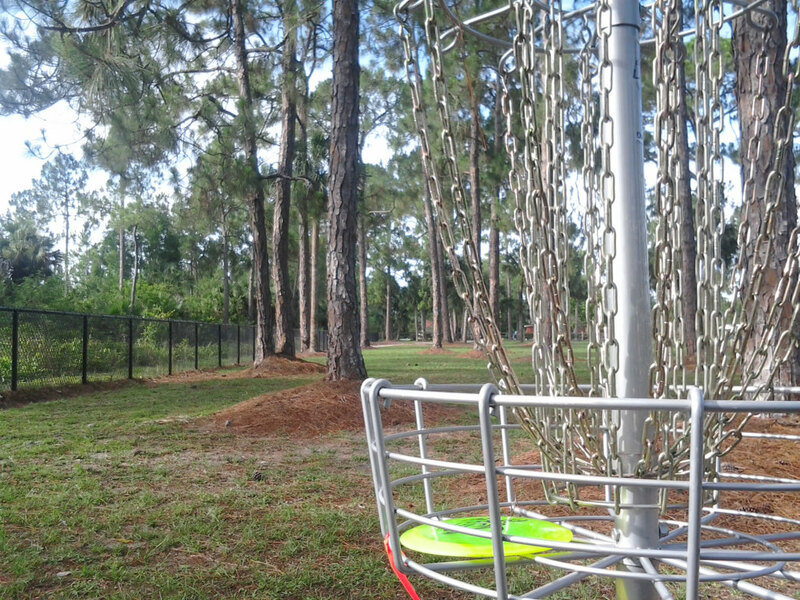 This park in northwest Orlando features two 18-hole disc golf courses. The Parkside Course is considered the easier of the two, while the North Course is one of the more challenging in the area, with more of an arboretum-like feel to it. The signature 18th hole requires a throw over a pond onto the peninsula green. The park features a disc golf shop where you can purchase equipment (as well as snacks), and the course is free to play. This 9-hole course is located near the University of Central Florida practice fields, which is northeast of the city. It features mostly open fairways and is a good course for beginners. It’s also a short course, so it’s easy to get a quick game in. The course is free, but look for signs highlighting campus-parking restrictions and make sure that you are parked legally. The River City Nature Park is located on the St. John River about 30 minutes north of the city. It’s sandwiched between the Black Bear Wilderness Area and Lake Monroe, and the course is one of the more scenic in the state. You can play 36 holes among the pines, live oaks, cypress, and palm trees that keep the course challenging, and you'll find a good mix of holes with right and left dog-legs to keep it interesting. There is no pro shop or facilities on the course, although discs may be rented from the Parks and Recreation office in Debary’s City Hall. There’s a good chance to see bald eagles, herons, and egrets on the property. Located just north of the Orlando International Airport on Lake Warren, Airport Lakes Park features just a 9-hole course, but each hole includes two sets of tees and two sets of pins for each fairway to create an 18-hole experience. While it’s not the longest course, there are lots of trees to keep things interesting. A nice course map makes the course easy to navigate, and you’ll find both restrooms and drinking fountains on the property. Located northeast of Orlando in Oviedo, Shane Kelly Park features a 9-hole course that opened in 2015. 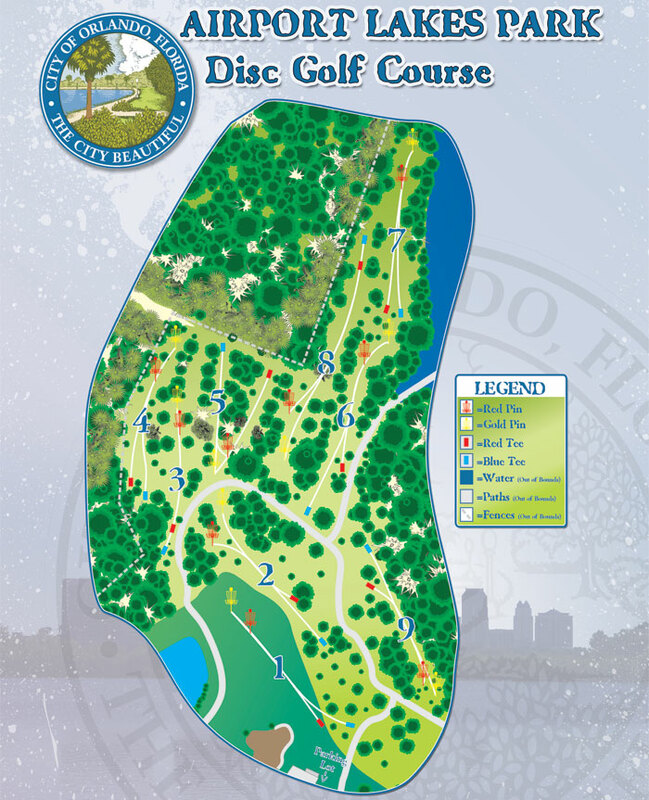 Its unusual design is organized around a small pond (as you can see in the course map), but you will find four wooded holes that are quite entertaining.